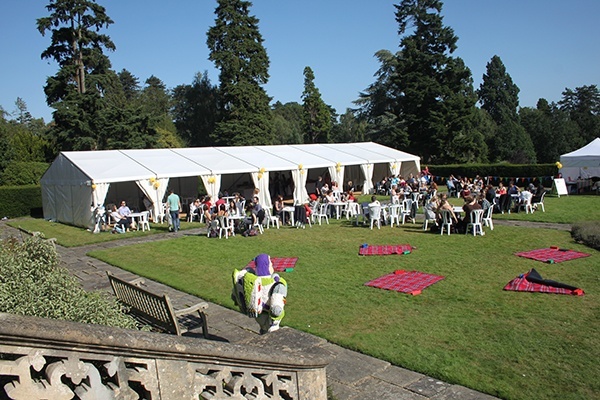 To celebrate their 80th birthday, our client wanted to put on a festival/ carnival themed family day which would bring their employees and families together for a afternoon and evening of entertainment and activities. Producing the event within a short time span along with budget constraints were an immediate challenge; however with collaboration between ourselves, the venue and our client we were able to meet and exceed expectations. One main challenge was getting the balance right between the cost of the event vs attendee numbers. As with any event of this nature, it is impossible to guarantee how many people will attend, with so many factors effecting peoples' decision, from the weather, to school holidays. As numbers were anywhere from 200 to 600 it was important not to over or under allocate supplies. Another challenge was that the original venue was unable to stage the event at the last minute and therefore we had to change venues and layout plans. Fortunately the client’s venue finding partner came up trumps, and that combined with a lot of non-stop effort from the Penguins team ensured that the client and their guests enjoyed a fantastic event in a stunning setting. 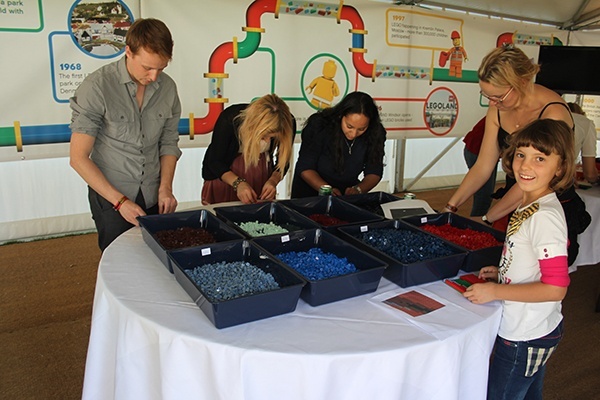 As the main focal point of the event, Penguins created the Lego ‘festival main stage’, complete with lighting rig and sound system which was the hub of the event and hosted the evening’s musical and stage acts. Working with the client's mix of entertainers kept guests enthralled all day. They included Fire Eaters, ‘meet and greet’ stilt walkers and the fantastic Rockaoke, who have featured on The Chris Moyles Show. In addition to the main stage, Penguin provided full event logistics, planning and support for the event including a number of marquee structures and temporary power to the whole site. Because this was a family event, there were going to be a younger audience present too. Their entertainment came in the form of giant inflatable slides, fair ground basket ball, table football and tennis, crafts, face painting and SEGA really arcade games! A number of competitions were staged for both adults and children, with the likes of a fancy dress parade, cracker and jelly eating competitions as well as musical bingo. These provided the perfect afternoon entertainment and prepared guests for the Rockaoke finale. Our client booked the main musical act, Rockaoke, themselves. Penguins provided full sound and lighting support for the act, a fantastic combination of a real rock band and karaoke. If you’ve ever wanted to be the lead singer in your own band, then this is for you!